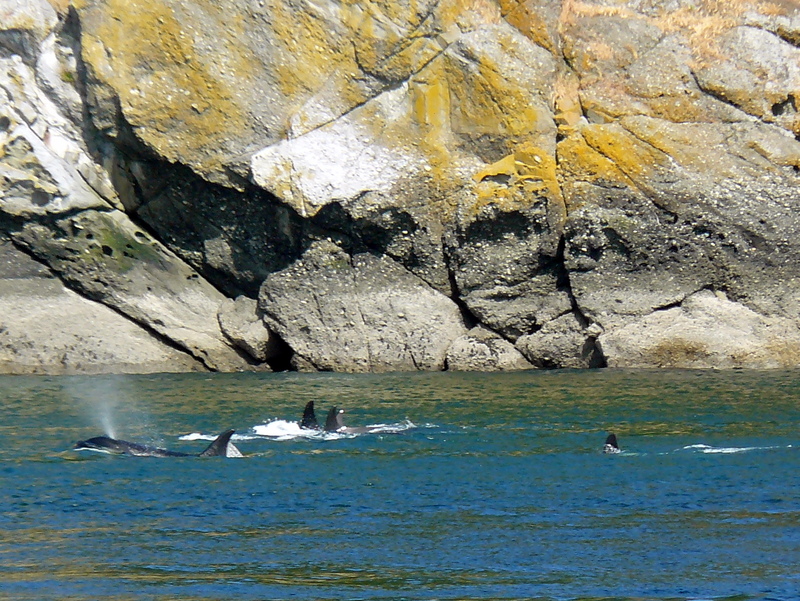 Many J-Pod Orcas with K-20 Spock (for a second I thought it was J-26 Mike- with her similar saddle patch & tall dorsal fin! Maybe they have the same dad?!) 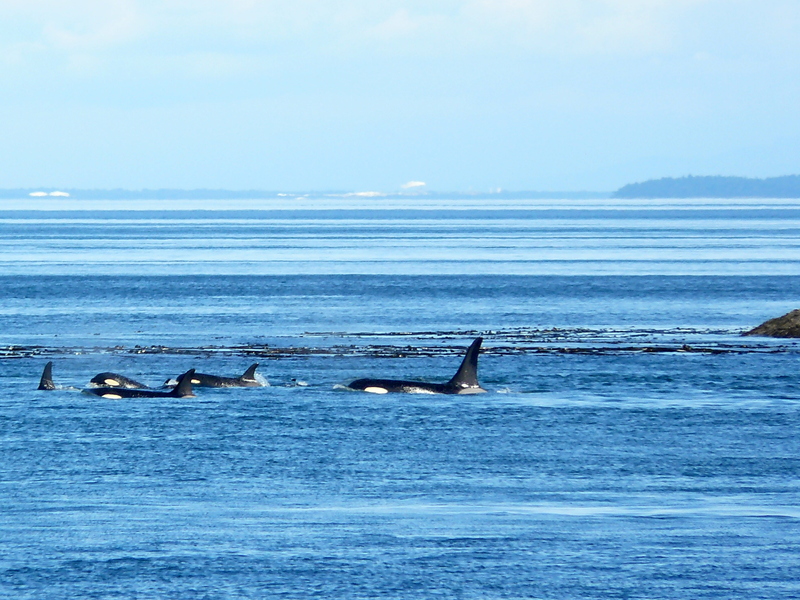 and her son K-38 Comet formed 2 tight groups traveling north in Haro Strait, seeming to rest a bit, swimming slowly with the flooding tide. 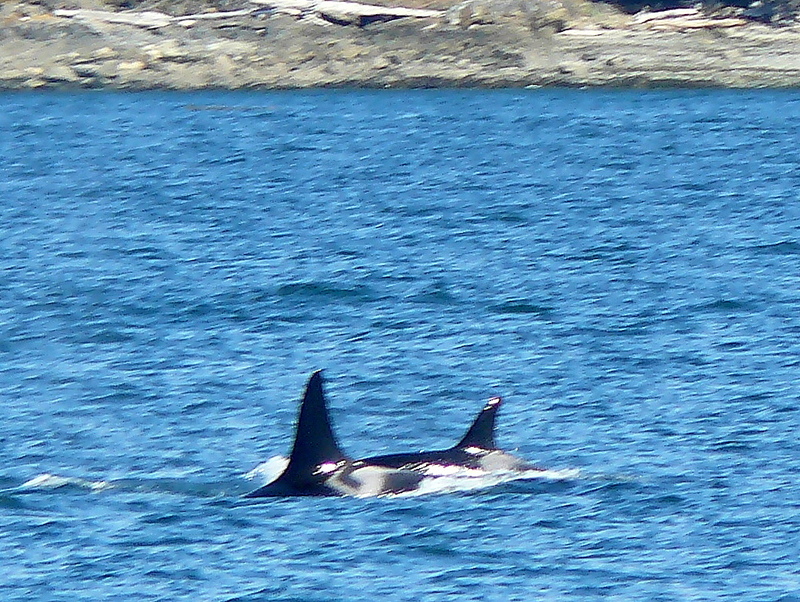 At about 3pm, they were off of Henry Island, taking their time heading to Stuart Island, then into Boundary Pass at 4:15pm. 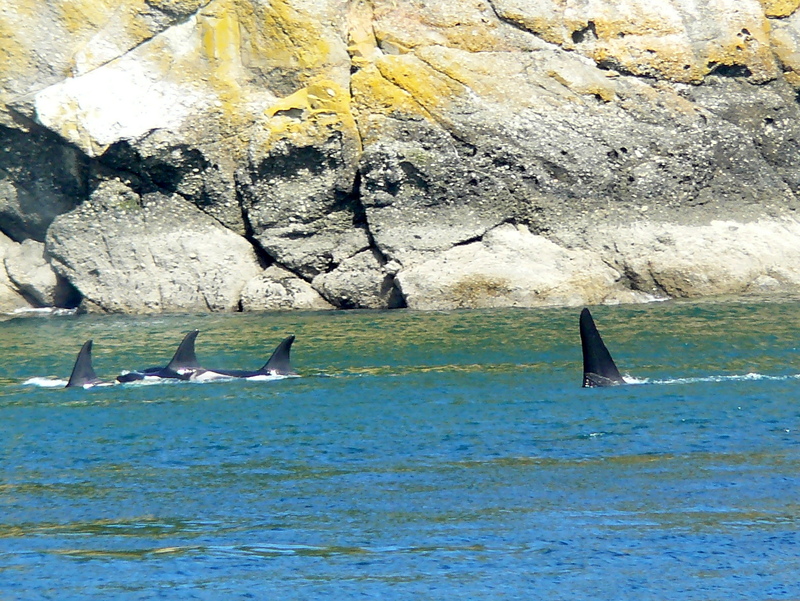 Their leisurely pace and breathing enabled us to identify J-22 Oreo with sons J-34 DoubleStuf & J-38 Cookie, J-17- Princess Angeline with granddaughter J-46 Star, J-27 Blackberry with siblings J-31 Tsuchi & J-39 Mako, and J-19 Shachi & her daughter J-41 Eclipse. 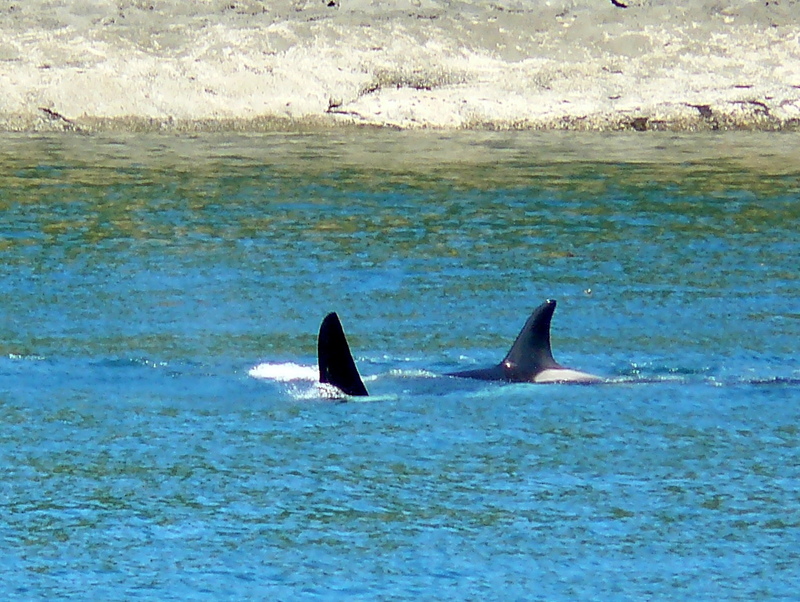 Also J-28 Polaris, and J-35 Tahlequah with son J-47 Looker, the newest J-Pod calf! Nice to see the families all together.